It is time, yet again, for a very lucky person to set a new record for paying too much for a work of art and looking at it as an investment. 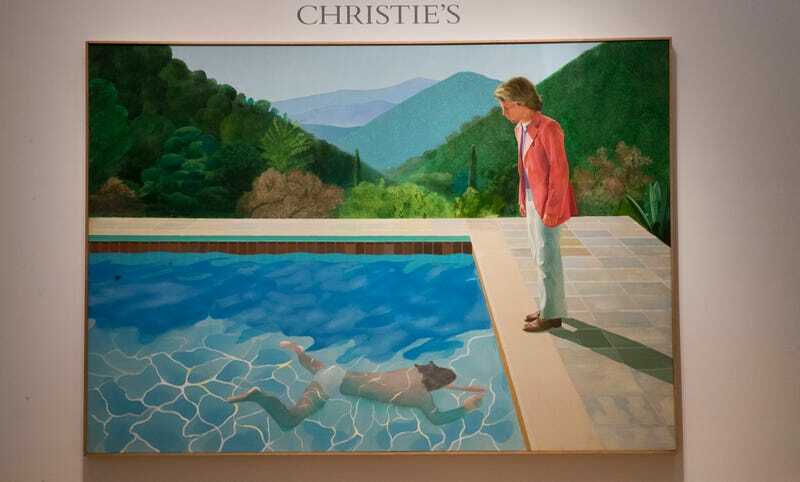 The Guardian reported on Thursday that 81-year-old David Hockney became the most expensive living artist when his painting “Portrait of an Artist (Pool with Two Figures)” was sold at auction for $90.3 at Christie’s. Before the auction, Christie’s estimated the 1972 painting would go for $80 million. They were…close? The one silver lining? The previous record was held by the sale of Jeff Koons’s “Balloon Dog (Orange)” for $58.4 by Christie’s in 2013. This is a real victory for people who like to see Koons’ ego wounded only minutely or perhaps not at all.